The Shared System re-made in Black & Gold w/ the Erbe-Verb, Morphagene, TEMPI, and CV Bus added in a steel case with the Make Noise logo. 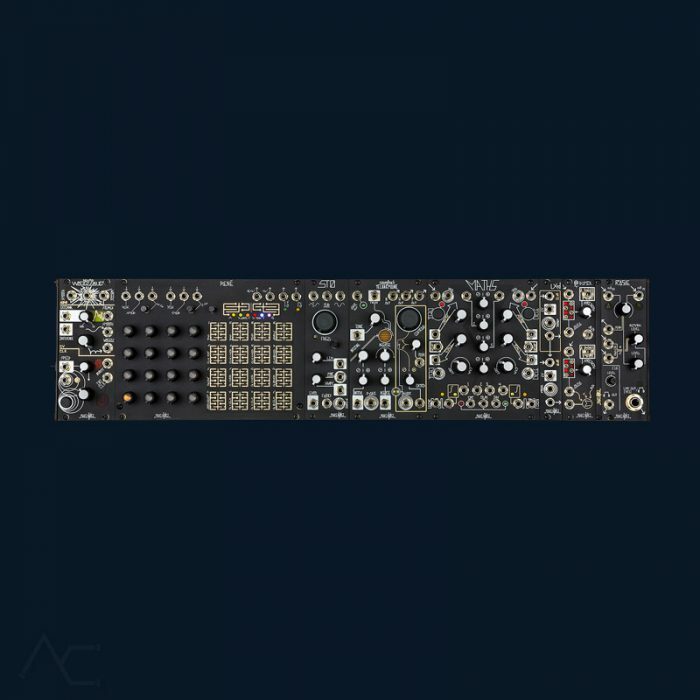 The personal favorite system of Make Noise founder Tony Rolando, this collection of modules is utilized by all artists for the Make Noise Records Shared System Series. 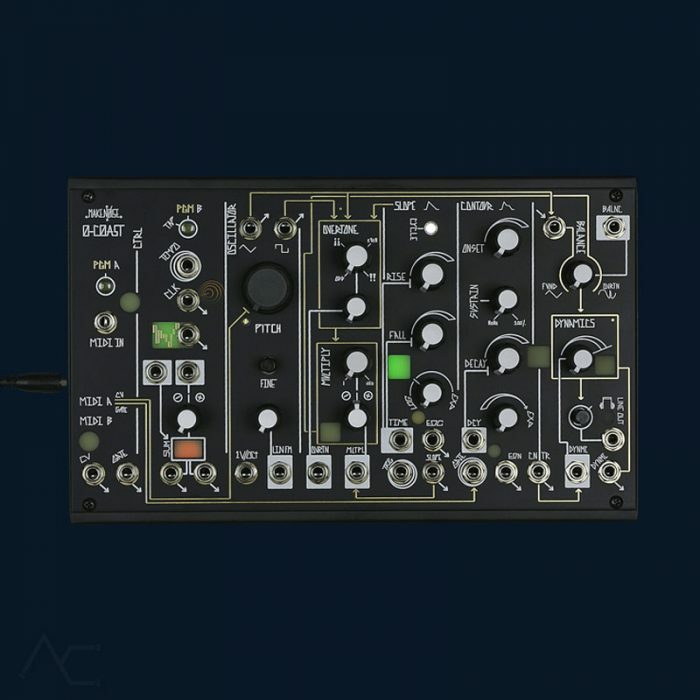 It was also utilized by both Alessandro Cortini and Richard Devine for their performances at the 2012 Make Noise Opening party. The Shared System is the deepest and most complex of our systems bringing together all of our synthesis techniques into one system. From analog FM to voltage controlled granularization, the Shared System will go to more sound destinations than most folks have time to travel to in a single lifetime. 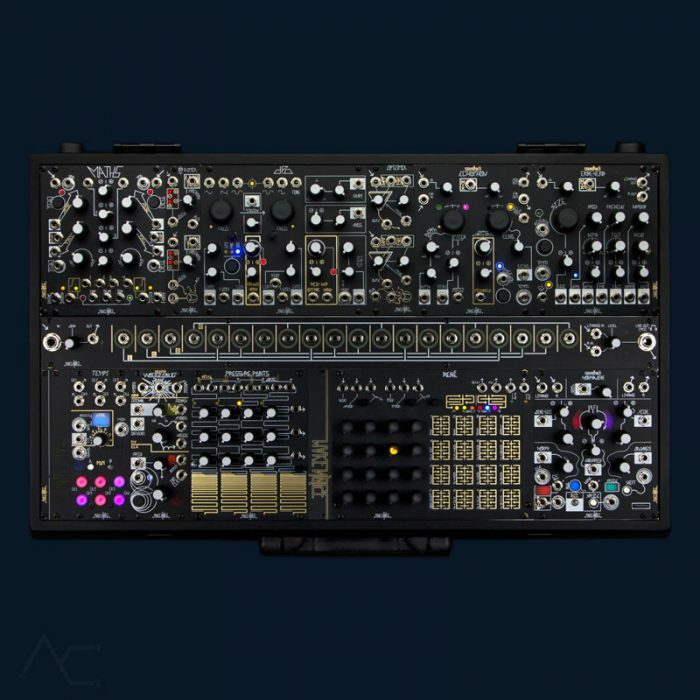 The CV Bus was originally designed for Alessandro Cortini’s personal Make Noise system. It provides visual indication of level, rate and polarity for up to 4 control signals that will be shared throughout a patch. These 4 control signals are color coded and distributed across the center of the system allowing for quick, clean and intuitive patching. The distribution method is unlike the typical multiple since the control signals will appear beneath their possible destinations allowing for the use of shorter patch cables. The color coding and visual indication makes navigating complex patches easier and more intuitive. Typically, the CV Bus would be used to share the most important control signals in a patch such as your Master Clock.